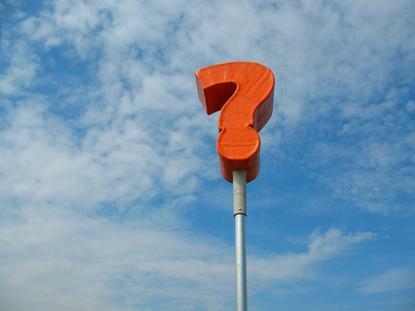 Top CIOs are still puzzled about what the cloud is. What rock have they been hiding under for the last decade? You have got to be kidding me. At the Gartner Symposium/ITxpo, the research company’s annual enterprise IT conference, Gartner vice president David Mitchell Smith said, "In many ways we’re nowhere nearer understanding what cloud is." Oh, come on! The year is 2016, but Smith continued, "There are still a lot of gray areas and blurriness in the cloud business.” He thinks 80% of vendors’ “private clouds” aren’t strictly speaking cloud, along with 30% of public cloud services. Listen, if you’re a CIO and you don’t know what a cloud really is by now, then you should be fired. Unlike what Gartner said, most of you do seem to get it. A recent Uptime Institute survey of 1,000 IT executives found that 50% of senior enterprise IT executives expect most IT workloads to be running on the cloud soon. Of the respondents, 23% expect the shift to happen next year, and 70% expect it to occur within the next four years. What is going on, and does confuse things if you’re not paying attention, is that many vendors just stick a cloud label on their old offering and expect you to buy their “new” service. This is called cloud-washing. Companies slap a new coat of cloud paint on any old program or service, add 10% to the price, and call themselves a cloud company. I’m looking at you, Oracle. But Oracle isn’t alone. For example, Adobe Creative Cloud isn’t a cloud. It’s a software rental licensing business model. True, you can share files with its infrastructure-as-a-service (IaaS) storage, but you could always do that with network file sharing or third-party cloud services such as Dropbox. If you think there’s a Photoshop in the cloud, you’re wrong. To use Creative Cloud, you download a fat client to use it. Despite the name, this is not a software-as-a-service (SaaS) play. If you’re a system admin who’s nervous about losing his or her job, I can understand pointing out such examples as proof that cloud computing is just marketing hype. I expect better from CIOs. I mean, the National Institute of Standards and Technology (NIST) defined cloud computing for us in 2011. Doesn’t ring a bell? OK, here’s a refresher. NIST continued to say that a cloud must have five essential characteristics: On-demand self-service, broad network access, resource pooling, rapid elasticity or expansion, and measured service. Let’s look closer. With on-demand self-service, users can unilaterally provision or access computing resources as needed. Usually, but not always, you do this with a web browser. Users spinning up a service with ordinary provisioning shouldn’t require any technical support handholding. If a technician has to manually spin up a server for you, you’re not using cloud computing. If you need to call the vendor to get a server instance up, you’re not on the cloud. By broad network access, NIST doesn’t just mean that that cloud services must be available over the internet. It’s just that the cloud resources must be made available over the network for all devices, from PCs to smartphones, using open standard protocols such as TCP/IP, HTTP, HTML, XML, Java and SOAP. If it needs proprietary network standards or clients, you’re moving away from the standard open cloud to a proprietary solution. Ignore the jargon. It means the cloud could be next door, or it might be in the next country. With a hybrid cloud, which uses both private and public cloud resources, it may be both. IT should know the specifics of what’s where. For the ordinary Joes and Janes in accounting, the resources are just in the cloud. From their seats, the cloud is just at their fingertips, the same way the internet is. Rapid elasticity and expansion are vital. In a cloud, you don’t ask for five more servers; you go out and get them. Your computing resources are dynamically assigned, released and reassigned at your request. In the best clouds, users don’t even know they’re asking for more resources. They just get on with their job, and if their work requires more resources, the cloud simply provides them. So, for example, if you suddenly need two dozen extra processors to handle an unexpected job, the cloud can deliver those compute resources to your application without any manual intervention. Then, when the job is done, those resources should automatically be returned to the cloud. No fuss, no muss. Finally, just as with any ordinary utility, such as your electricity, on a cloud you must be able to monitor your cloud systems usage and be billed for it according to your use of the “service.” The only difference is that instead of kilowatt hours, you’re billed for storage, processing and bandwidth usage, and possibly for active user accounts. If your cloud service doesn’t provide all of these features, what you’re using may not be a cloud. That may not be a problem. It may still work perfectly well for you. There’s nothing inherently wonderful about a service just because it’s offered over a cloud. But you may want to take a close look at your services. After all, from a practical viewpoint, the big differences between cloud services and other models is that the cloud tends to be cheaper and far more expandable and flexible. And surely you, as a CIO, already know all that. Right?